Amazon CEO Jeff Bezos through a blog has claimed that the National Enquirer magazine, run by the American Media Inc (AMI) has tried to blackmail and asked to drop the investigation into how it obtained his private messages, otherwise they will publish his text messages and intimate images. Amazon chief Jeff Bezos has levelled the allegations of extortion and blackmail against the National Enquirer magazine owner. In a blog, Amazon chief said that lawyers for David Pecker have threatened him to drop an investigation into how it obtained his private messages, otherwise they will publish his text messages and intimate images. 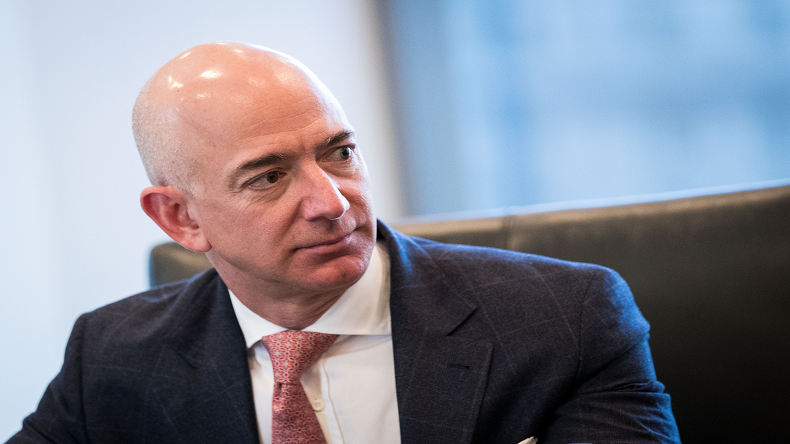 According to the reports, Jeff Bezos and his wife MacKenzie last month were getting divorced following a report, published in National Enquirer claiming about the tech titan’s extramarital affair. In a long blog, titled as “No thank you, Mr Pecker”, Jeff Bezos said that the National Enquirer, run by the American Media Inc (AMI), has told him that they have more text messages and photos of him and they will publish it in the tabloid, if he doesn’t stop the investigation into how it obtained his private messages. Jeff Bezos’s wife MacKenzie, a few weeks ago, had announced about their separation, shortly after, the National Enquirer had published a report about Bezos’ extramarital affair with a former TV anchor Lauren Sanchez. Jeff Bezos revealed in his blog that after the National Enquirer published Jeff Bezos’s personal messages, he contacted the private security consultant Gavin de Becker to find the motive behind the unusual actions taken by the tabloid. The Amazon CEO added that the AMI’s head content officer Dylan Howard also emailed threats to his lawyer Martin Singer. In his e-mail, Howard wrote that he wanted to describe about the photos obtained during the newsgathering. Which includes, a shirtless photo of Jeff Bezon holding his phone and while wearing his wedding ring, a full-length body photo of him in underwear, and photos and messages from Sanchez.